What is the Big Deal with Wide Format Digital? To begin, wide format digital printing, at print buyer level, is now in excess of a US$100 billion market (source: Infotrends-FESPA joint Worldwide Survey #4). 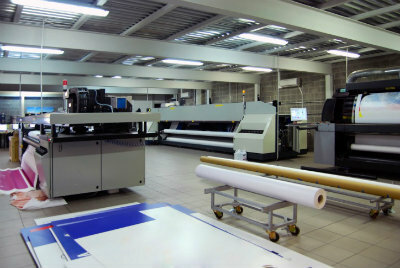 Wide format digital printing began earnestly in the early 1990s. In 1986, a bright final year UK university engineering student named Andy Cave had written the first PostScript RIP (Raster Image Processor) to enable him and fellow students to quickly print their theses exactly as they appeared on their computer screens. This was to become the famed Harlequin RIP, driving film imagesetters, revolutionizing typesetting and enabling complete pages to be output ready for making printing plates.